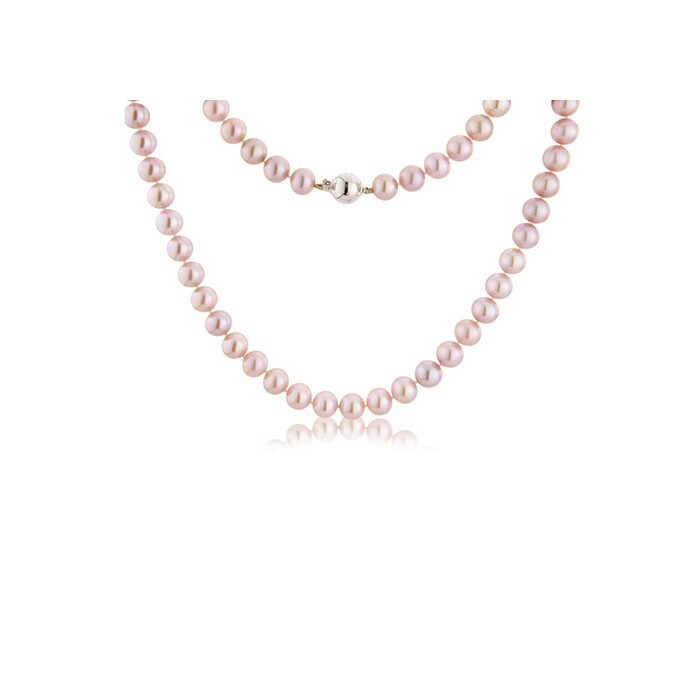 These naturally coloured pink freshwater cultured pearls are very rare and quite sought after. 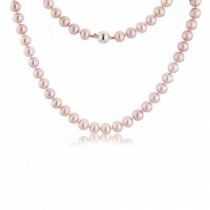 At 7.5-8mm in diameter, they are also some of the largest available freshwater pearls in a matched string. Near round and with a smooth surface and exceptional lustre these pearls are unique. They are individually knotted and feature a sterling silver safety clasp.